A juicing guide to the healing properties found in these veggies. First, let me say that trace mineral content is THE key factor that determines the value of what we juice. Lamb’s quarters Wild Green. These leaves are tasty in salads, and this juicing guide shows they are a great source of chlorophyll. Lamb’s quarters are rich in calcium, vitamins A and B, especially riboflavin and folic acid. All plants in this family, including spinach and chard, concentrate oxalic acid in the leaves, which can interfere with calcium utilization unless eaten with a good source of calcium at the same meal. I generally take a couple of swallows of milk after my juice. Lavender Herb, Mint. Lavender smells great to us, but deer, rabbits and other wildlife don’t like the fragrance. It is also a good bug repellant, which can help to keep away mosquitoes and gnats while working in your garden. Our juicing guide shows that lavender leaves add a special touch when juiced together with citrus fruits, mint, rosemary, sage, berries, and other fruit. Leeks Vegetable. These are in the onion and garlic family. Leeks contain strong antioxidants which help to fight free radicals. Leeks contain polyphernol and kaempferol, which help to fight chronic low-level inflammation, found with diabetes and rheumatoid arthritis. In our juicing guide, leeks are a key vegetable. Lemon Fruit. If organic, the whole lemon may be juiced. If not organic, peel it first. Lemon can be used to counter the bitterness in other juicing items, but lemon can give other veggie juice a bad flavor. Helps to ward off food cravings, alkalize your body, and help to normalize insulin levels. Lemon balm Herb, Mint. In your garden, it can help to attract honey bees. It is very easy to grow. You may juice it’s leaves, which have a strong scent of lemon. Lentils Vegetable. As legume, lentils are a great source of protein, plus vitamins and minerals, plus they are loaded with antioxidants, which make them an anti-aging food. Lentils release energy slowly, so you feel full longer without blood sugar spikes. In our juicing guide, this makes them great for losing weight. Lettuce Dark Green. Other than iceberg head lettuce, many lettuces are a good source of chlorophyll. Romaine lettuce is the most nutrient dense of the lettuce varieties. Lettuce is mostly water, and doesn't have as many health advantages as other dark greens. Licorice root Herb. Used to sooth and coat inflamed tissues of the mouth, throat, and digestive and urinary tracts, and also serves as an expectorant. It also increases a person’s interferon, which is one of the most powerful natural antiviral agents. This helps to keep viruses from reproducing. However, pay heed to our juicing guide warning: do not juice licorice root for more than 7 days, as there are numerous side effects, including water retention, stomach ache, headache, shortness of breath, joint stiffness. Long-term use of 50 grams a day can increase blood pressure. A reader wrote in that all the negative side-effects listed for Licorice root are also side effects for a shortage of Potassium. He said that Licorice lowers potassium levels. When he started taking potassium tablets, the side effects disappeared. He requested that I post this information for him. Lime Fruit. If organic, the whole fruit may be juiced. If not organic, peel before juicing. Lime can be used to counter the bitterness in other juicing items, but lime also has an overpowering flavor that can give a disagreeable flavor to your veggie juice. Marjoram Herb, Mint. Of the 3 flavoring herbs, oregano, marigold and marjoram, this has the finest flavor. Once the plant is 4 or 5 inches tall, you can start cutting it’s leaves for juicing. Milk thistle Herb. Helps to protect the liver. It has been approved in Europe for use in fighting toxic liver damage, inflammatory liver disease, and cirrhosis. Milk thistle not only fights diseases, but it helps to repair liver cells and promote the regeneration of new cells. The liver is such an important organ. Praise God for such wonderful herbs to be included in our juicing guide. Mint Mint, Spice. Mint is an invasive plant that can quickly take over a garden, so if you want to grow it, you might want to put it in a clay pot. Just be careful that the roots don’t grow through holes in the pot down into the soil. Spearmint can help to relieve headaches by correcting the balance of the liver. It can also help to calm, relax and soothe a tense person. Mostly, mint can add a nice flavor to your juice. Motherwort Mint. It is known for helping to keep the muscles relaxed, preventing cases of hypertension. However, in our juicing guide it is especially beneficial for mothers, as the name hints at. Motherwort can help to regulate menstruation, so it should not be taken during pregnancy. The Chinese have used it to ease stomach pain and gas, to prevent menopausal problems, and to reduce cramping and insomnia. It can also help a mother’s milk flow, and help reduce postpartum depression. Mustard greens Dark Green, Bitter Green. Strong flavor, something of a horseradish flavor. 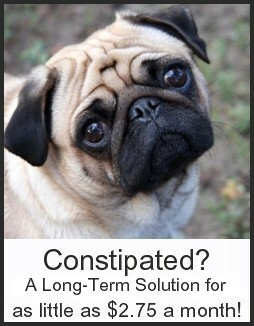 Promotes good circulation and relieves constipation. Nasturtium Herb, Bitter Green. Hot and peppery, tastes something like horseradish. Both flowers and leaves have a good amount of vitamin C, plus the leaves are used in South America to treat bladder and kidney ailments, for colds, coughs, the flu, a sore throat, and bronchitis. Nettles Wild Green. 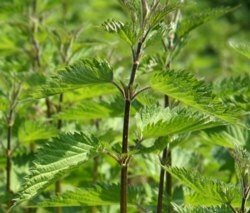 Known for its ability to ease muscle and joint pain caused by arthritis and gout, nettles are also used as a diuretic and laxative. They may be effective against ulcers, intestinal inflammation, and hemorrhoids. Noni Fruit. This is a super food, filled with phytochemicals and a large range of health benefits. The fruit has a foul odor and doesn’t taste good, but this taste can be hidden by adding it to other items in the juicing guide. Noni juice is reported to have certain therapeutic effects, like being antibacterial, antiviral, antifungal, antitumor, antihelminth, analgesic, hypotensive, anti-inflammatory, and immune enhancing. It is said that it enhances energy and wellbeing. If you can find Noni fruit, it would be a wonderful addition to your juice. 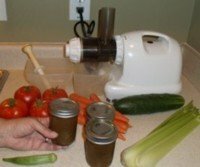 In the Spring, Summer and Fall, I always try to keep items in my garden for juicing. As I write this, it is early August. My garden is gracing my juice with lots of tomatoes, some french green beans, cucumbers, pumpkin leaves, and an occasional watermelon. A few days ago I used my watering can to apply some fish fertilizer, beefed up with sea minerals, to my whole garden. My plants seem to love this combination of nutrients. Happy juicing!